During our trip back to trip to the Beamish Museum last Friday we saw some beautiful signs of spring that we would like to share with you. 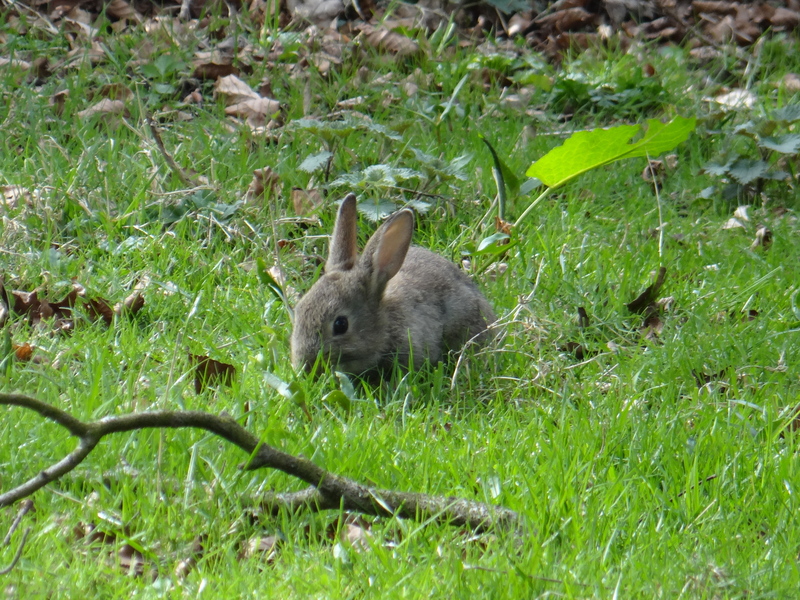 This little fellow was nibbling some fresh spring grass. 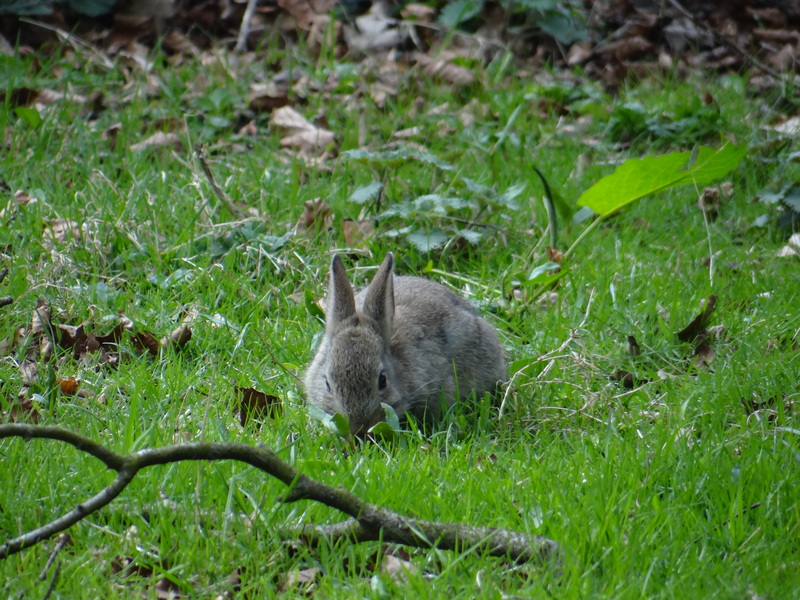 He is a very young bunny, a wild rabbit that we just happened upon. We could not help but take a bunch of photos of him as he munched his grass salad oblivious to the dangers a young rabbit can face. We moved on to the Beamish Home Farm. This farm is set in War Time England, in the 1940’s. As we approached the farm area we saw posters and signs for metal drives to help the war effort. I will show you more about this amazing farm tomorrow. The farm itself was alive with signs of spring. 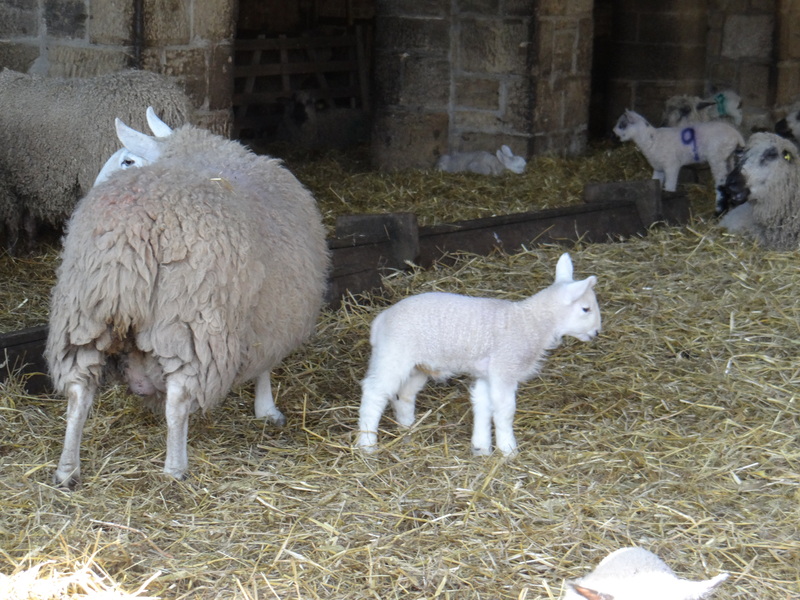 The lambing barn was by far the busiest area on the home farm. We saw many lambs just days old. One lamb was brought over to us. He was only 7 hours old. 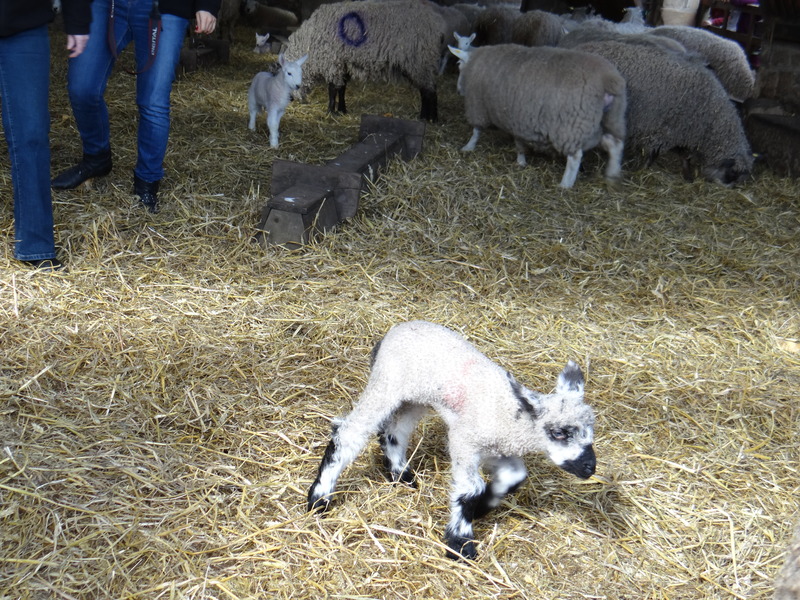 We finally got to see a fresh born lamb here in England. He was so cute and tiny. We could have watched him for hours, wobbling around trying to figure out how to operate those new legs. Cuteness with a wool coat on. Hope you enjoyed our bit of spring here in County Durham.